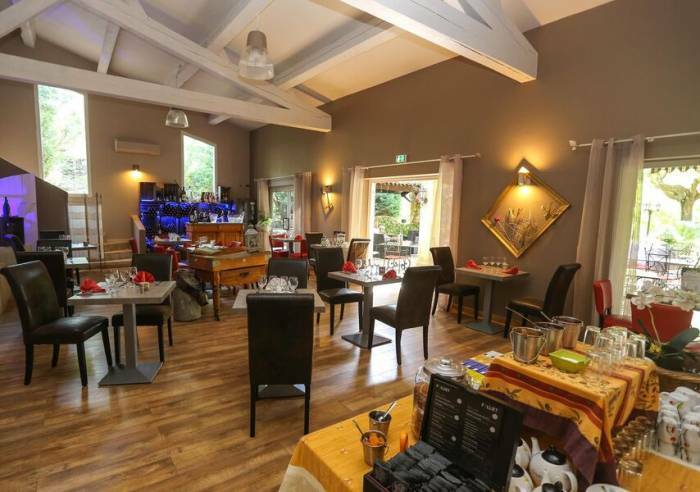 In a lovely warm and friendly atmosphere, Marie and Laurent welcome you to their charming hotel at the base of the Luberon range. 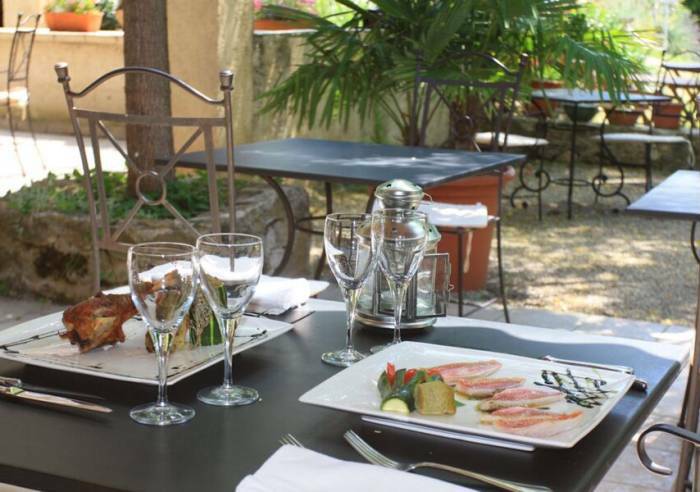 Just 20 minutes from Aix-en-Provence, 1 hour from Avignon and Marseille. Between October and late March, check with the hotel for to be sure of opening dates. Restaurant is reserved for hotel clients. 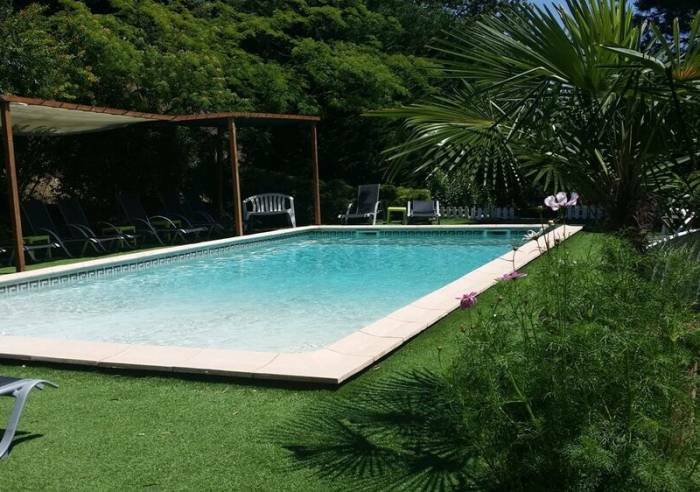 The hotel also offers a heated swimming pool and a beautiful garden. Comfortable rooms with Provencal decor. 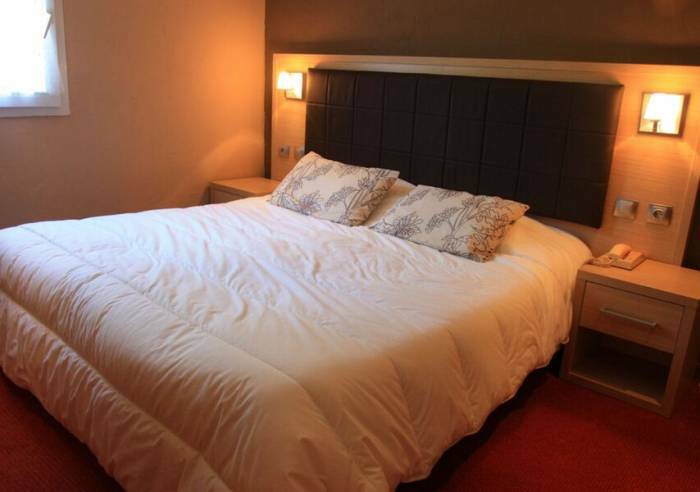 Rooms have TV with 5 satellite stations, telephone, bathroom and WC, hairdryer. WIFI, WIFI, TNT, mini bar, safe, air-conditioning in each room. 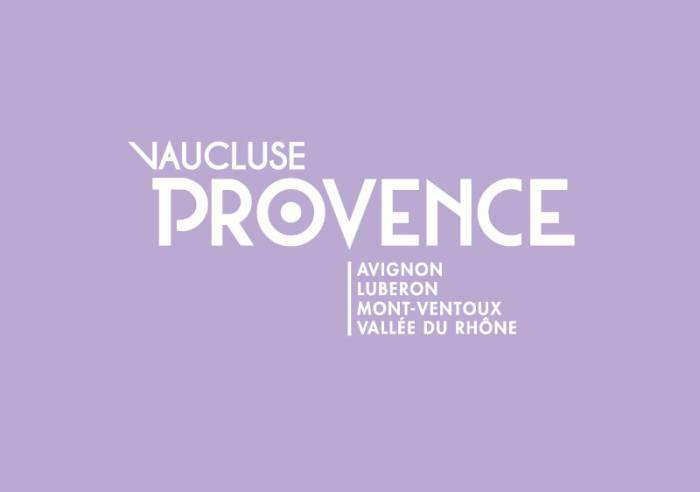 Delicious family-style Provencal cuisine is prepared with fresh local products, and is accompanied by an excellent wine list featuring regional wines. Half-board is offered from Sunday to Friday. Closed Saturday evenings. Private, closed parking, heated swimming pool, garden. Bocce ball playing area, special entertainment evenings once a week from mid-May to late August. Bath, No-smoking, Baby equipment, Wi-fi, Free private internet access, Air conditioning, Safe, Shower, Mini-bar, Hair dryer, Telephone, Television, Baby bed, Baby chair, Play area, Bar, Terrace, Car park, Garden, Park, Swimming pool, Restaurant, Coach parking, Pets welcome, Wi-fi, Tourist brochures, Restaurant, Restaurant for clients only, Picnic hampers.